I remember having mincemeat so often during the Holiday season that I expect it every year now. 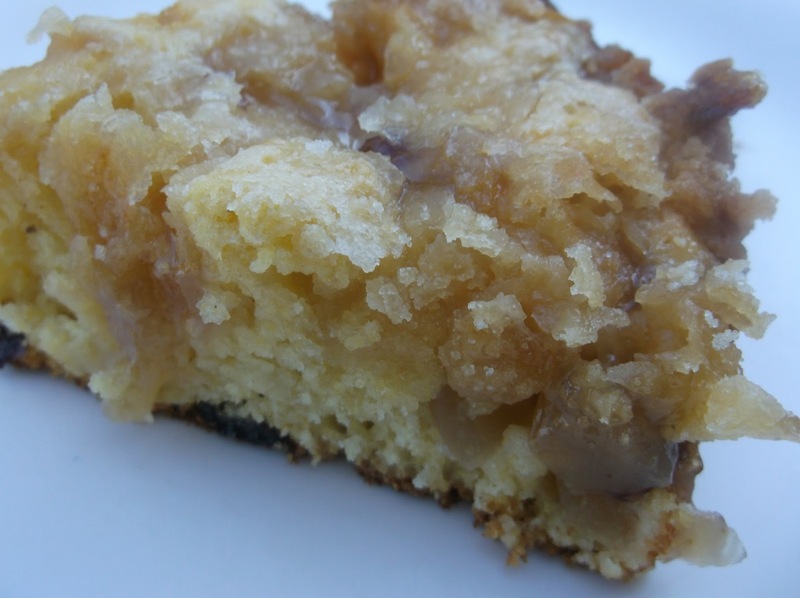 Many of you will consider mincemeat an acquired taste, much like our beloved Moxie beverage here in Maine, while many of you will simply overlook this pie. Is it because of the word meat in the title? Maybe because there is no strong, and universal, agreement on exactly how to make mincemeat. It very well could be that suet is known to be a key ingredient in this pie filler since time immemorial. I lean toward that notion, which is a shame. Great mincemeat, that closely rivals the classic presentation, can be made without suet and meat.....and without butter that so many upscale celebrity chefs abide by. Let me give you a quick rundown of mincemeat and then offer two recipes that will have you trying it either for the first time or all over again. 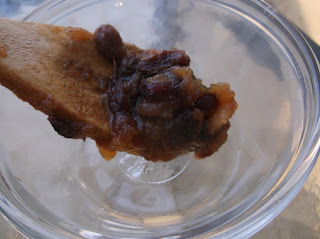 I could write and write about the origins of mincemeat and bore you to death as I explain this, because the true preparation of mincemeat goes back even further than any food historian would care to research, and it all began with a way of either preserving meat or using the lowly parts of the animal in some fashion. 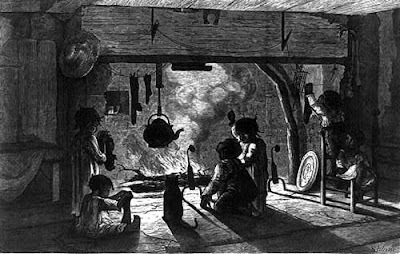 I will skip to New England, where minced pies, or "coffyns", have been baked in a fire since we first set foot on this soil. I dare say that not many of us would care to relive the original recipe for mincemeat because it was more far savory than sweet. 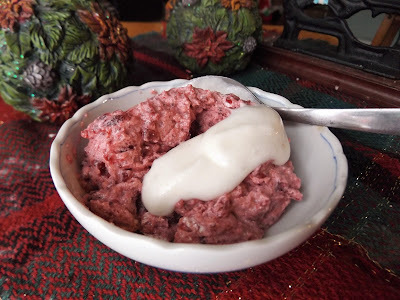 When you take suet, which is the fat of beef or mutton from around the kidneys, and stew it for hours on end until it completely melts, and throw in whatever ground, leftover meat you may have and add just enough fruit to taste, I don't believe many would enjoy this fat-laden dish. I will say, however, that the rich taste was broken up extremely well with ground cloves, cinnamon and nutmeg. These three spices, having been an integral part of mincemeat since the Crusaders, have kept their place in this dish because of their moral relationship with the three magi, hence the origin of Christmas. Mace was frequently added along with these three spices as well, it being a very popular spice for many generations, but sadly ill used today. "To Make Minced Meat Pie: Shred a pound of neats tongue parboiled, with two pounds of beef suet, five pippins, and a green lemon peel. Season it with an ounce of spice, a little salt, a pound of sugar, two pounds of currents, half a pint of sack, a little orange-flower water, the juice of three or four lemons, a quarter of a pound of citron, lemon and orange peel. Mix these together and fill the pies." An age-old beloved custom is to always stir mincemeat, while cooking, in a clockwise direction. While is was slowly cooking in a large kettle over the fire, many households only allowed you to stir it just one time, allowing others to follow suit. Then when it was your turn again, you would give it another clockwise whirl. 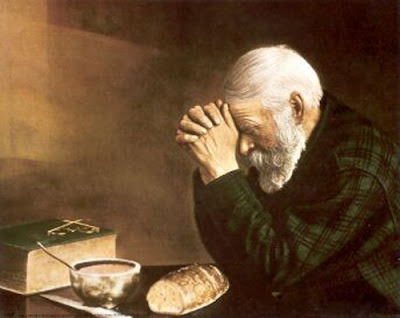 My favorite painting. Shows such a devotion to what you have, as opposed to what you don't have. It wasn't until well into the 19th century that homes were starting to exclude meat in mincemeat, but the suet stayed. From a personal standpoint, I adore mincemeat in any form, but as time and knowledge of health issues increase, so does my attitude about this Holiday staple. 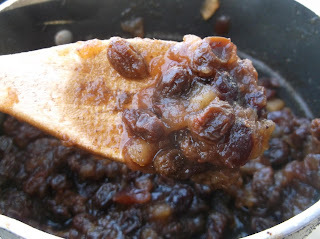 As with fruitcake, I would love to get more people to enjoy something so honored and traditional as mincemeat. And I truly believe I accomplished this quest. I would like to say just a quick word though. I am going to get email after email, I am afraid, because so many well known chefs are going to tell me that if I don't add suet to mincemeat, I MUST use butter. My answer is quite simple. WRONG! Butter adds absolutely nothing, and I mean NOTHING, to mincemeat. They will tell me that it adds smoothness and richness. REALLY!?!? Let me laugh just for a second then I will continue. First, we are talking about mincemeat here people. Mincemeat, no matter what you do, will never be smooth in texture or flavor. It is inherently salty/sweet and the last thing I want is a coating of fat on my tongue, traveling down my throat, only to end up in clumps in my arteries. Secondly, meat in mincemeat. Although I love venison, mutton or whatever type of ground or chopped meat you may desire to add to this dish, I do prefer the overall sweetness of mincemeat as prepared below because it is, after all, a dessert. You will notice the absence of sugar, be it granulated or brown. I don't believe I have ever found a recipe that didn't have added sugar in a mincemeat. You simply don't need it. The sweetness of all the fruit is plentiful, almost too much actually. That is why I often use Asian Pears instead of, even, tart apples, because they are less sweet. As for the molasses. 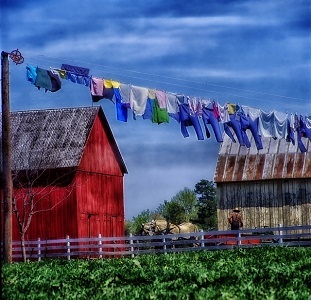 That is a true Yankee addition and has been since the 17th century in most households in rural parts of New England, where sugar was too expense to use. For substitutions and notes, please refer to the end of the recipe. I can hear it now. "This is NOT mincemeat!" But you will be in for one heck of a surprise. Especially when the smell of this recipe starts drifting in every room of the house. If you closed your eyes, you could swear you were transported in our ancestors kitchen. If you have any children that have never had mincemeat, give this a shot. When it has cooled sufficiently, simply place the recipe below in a pie shell, and top with another pie crust on top. Vent and bake for 40 minutes, or until the crust is golden brown. Remove to cool completely before serving. This mincemeat recipe can be used in any cookie, tart or Holiday recipe that requires mincemeat. In a large saucepan, whisk orange juice and marmalade. Peel, core and chop apples and add to juice mixture along with remaining ingredients. Bring to a boil over medium-high heat, stirring well. Reduce temperature to low and simmer 30 minutes, or until most of the liquid has evaporated. Stir, while helping to break up ingredients, often while simmering. Remove from heat, transfer to bowl, stir in rum extract and cover to refrigerate for at least 24 hours before using. Many purists will be having a field day when they see I am using orange juice instead of apple cider or apple juice in this recipe. There is no more of a purist when it comes to New England recipes, and keeping them alive, more so than I am. However, I simply had to add orange juice. Why? Because you must have something to offset the entire sweetness of this mincemeat. Using apple cider on top of apples was just too much of a good thing. But helping to break up the dominant flavor of apple, and add something that you will taste on the sides of your tongue, orange juice and marmalade gave that perfect tang, as did the cranberries. Now speaking of the apples, when I began Yanking this recipe, the best mincemeat I ever tasted, I substituted the apples for........Asian Pears. Almost blasphemy, I know, but I have never tasted a better mincemeat. So why did I not say that in the original recipe? Well, tart apples were a great alternative, plus I abhor angry emails. I will also relate that a superb substitute for the apricots would be prunes, citron, dates or figs. I chose apricots because they were much less sweet than the other ingredients listed above and helped to add more depth in flavor. About the rum extract. It just wouldn't be true New England mincemeat without the addition of rum flavor. If desired, replace a quarter cup of the orange juice with a good, dark rum. For those of you who do not want to purchase rum extract, only to have the rest of the bottle sit in your cupboard till next year, use vanilla or almond extract. Now about that second Mincemeat recipe that I alluded to earlier. For those of you who want meat in their mincemeat, here is a perfect substitution for meat. Bacon!!! Simply cook and crumble 3-5 slices bacon and add it to saucepan when you begin to simmer. 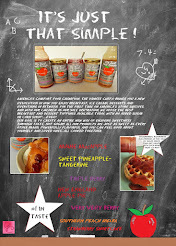 It helps to break up the sweetness, adds great flavor but also gives you the fat you may desire. If not, add a half pound of ground venison that has been cooked and drained well to all the other ingredients before simmering. You don't know how many times I have been asked to settle this, seemingly, unsolvable riddle. The riddle of who on earth was the first to make Whoopie Pies.....or Gobs. Even though New England is nationally known to be synonymous with Whoopie Pies, Pennsylvania has jsut as many followers and believers. Let's discount, first, that Boston Whoopie Pies are in the running. 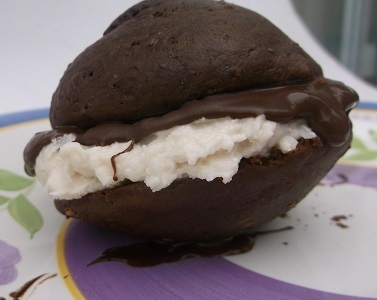 Some have speculated that because of a particular type of this "Whoopie Pie-like", hand-held treat resembles a Whoopie Pie (but has a custard filling and melted chocolate drizzled over it) it is somehow the progenitor. This is dispelled and should receive no more attention from me. Another idea that has been in the running is that the Whoopie Pie was originally invented by the same people who brought Marshmallow Fluff to our New England children's diet. Durkee-Mower, owners of Marshmallow Fluff even denies this assertion and goes on to say that they didnt even print a recipe for Whoopie Pies until the 70s. It is said that as early as 1920, fluff was sandwiched between 2 layers of chocolate cake and given out to publicize "fluffernutter". This is entirely without merit and will, also, be discounted in this conversation. Even Pennsylvania foodlore expert William Weaver states that Whoopie Pies originated not from Maine OR Pennsylvania, but was actually invented in the 1800s as Wienerkrapgens. As much as I hate to disparage a fellow food historian, and William is a learned man, he is mistaken. 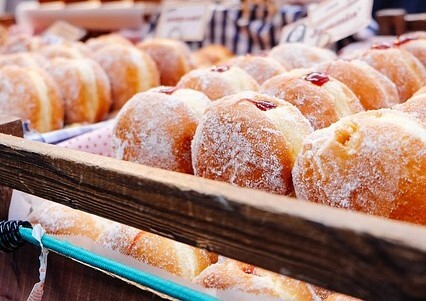 The biggest reason is because wienerkrapgens(or wiener krapgens) are almost a perfect replica of a filled doughnut, and it is classically deep fried. These Viennese pastries have always been cooked in oil and bear absolutely no resemblance to even the earliest Whoopie Pies. Also written, and attested to, is that Whoopie Pies were an invention of the Berwick Cake Company and they were being mass produced and sold as early as 1926. Even Nancy Griffin, author of Making Whoopies; The Official Whoopie Pie Book indicated that the Berwick Company of Roxbury, Massachusetts were the first to make Whoopie Pies. Although I admire my friend, she is ill-adviced......okay, not correct. This assertion is undocumented and the bakery closed its doors in 1977 without ever officially declaring themselves the first purveyor of Whoopie Pies. It is not to say they didnt make them though. It is known that in 1931, they did make "Whoopee" Pies. Notice the spelling, which is an important link to the origin of the name, which I will mention shortly. That leaves us with only 2 claimants, Maine and the Pennsylvania Dutch. 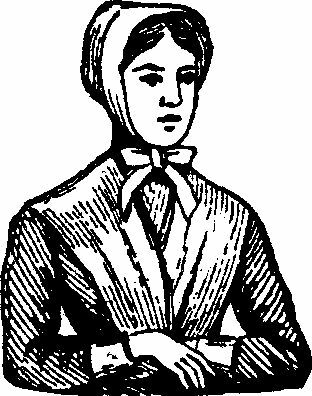 I have a personal attachment to Maine(obviously) but also a profound and respectable attachment to the Amish of Pennsylvania. They are much like us here in New England and I have always adored their cooking, food and sense of family. Let's get one thing clear before diving into the origin of Whoopie Pies. Why the word "pie" in something that obviously is NOT a pie? Could it be because they were named after Moon Pies? Many have speculated, also, that Moon Pies, and their creators, should get top billing in the dilemma. Foolishness! Just because the Whoopie Pie is officially the Maine State "treat", that does not bolster our claim to be the originator. So with that said, lets move on. 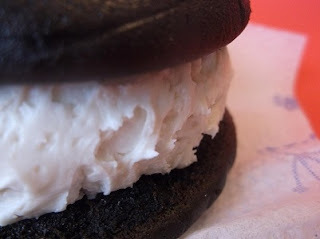 It is thought that Labadie's Bakery of Lewiston, Maine were the originators of Whoopie Pies. Some estimates put the year at 1925 at the opening of Labadie's. It is also known that all original records were destroyed in a fire in the late 1960s. So, again, we are left to speculation, but the Labadie's Bakery does pronounce themselves as the originators of the Whoopie Pie. Preface: I can't believe that the term Gobs is now trademarked! It is like someone trademarking the words Whoopie Pies. To me, there is only one reason for trademarking the word Gobs. Dutch Maid Bakery, of Johnstown, PA bought the patent rights, thusly the name, from the now defunct Harris-Boyer Bakery. In all fairness, I will say that the owner of the term Gob has not sued anyone and for that, I am appreciative. But it just doesn't sit well with me for a variety of moral reasons. I just don't believe anyone should 'own' such a special, and generational, treat. Again, kudos to Tim Yost(owner of the name)for allowing people to continue using the word Gobs. It has been handed down orally(much the same as Maine)that Amish women have been baking Gobs since the early 1920s and putting them in lunch boxes of farmers. When the farmer opened up their boxes, they quickly exclaimed "Whoopee!!" (the correct spelling of that exclamation), so the story goes. Also another handed down item is that these filled cakes were originally called "hucklebucks" and "creamy turtles", although this author can find no mention of either as being the same as Gobs or Whoopie Pies. 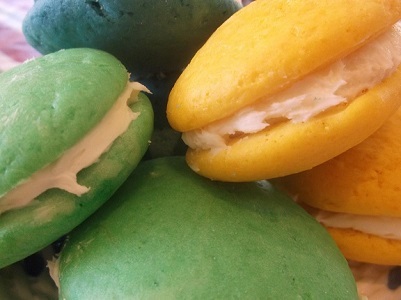 It is proclaimed that the PA Dutch originally made Whoopie Pies with leftover cake batter and cooked on pie tins. We will get to the subject of that shortly. Now to distinguish Whoopie Pies from Gobs, let me add that mostly in Western PA are these pies referred to as Gobs. But many insist that Gobs were either first made in the western area of PA or that Whoopie Pies were first made somewhere in the remainder of the state of Pennsylvania. 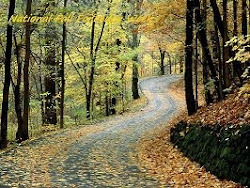 Either way, they allude, Pennsylvania is the true originator. "Men went into the coal mines or steel mills and the little cake with the icing on the inside instead of on the outside served their purpose. I’m convinced that the name Gob is related to the coal mines. Lumps of coal refuse were called gob piles. These working people adapted the name to the dessert." Susan also says that Whoopie Pies can be traced back to medieval Germany when they were making a cake-like pasty with a filling. She is probably referring to what I have dispelled already, the wienerkrapgens. Well, now I am busting out of the seams to dispel these observations! Sometimes a historian or researcher WANTS to dig deeper than everyone else or doesn't think their research query has a simple answer. I have often found myself in the very same spot. But more often than not, the answers are right in front of you. Something my father(the second Yankee Chef) always drilled into my head. This hold true with the names Whoopie and Pie and Gob. 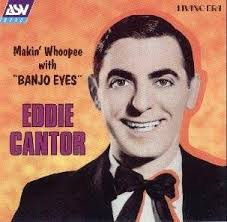 Now I know many dozens of you say that Whoopie Pies were named after Eddie Cantor when he was in Boston in 1927 doing the musical "Makin' Whoopee". It is said that he tossed mini Whoopie Pies to the audience as a publicity stunt while singing that song. I find absolutely not one reference of this happening.....period! Not one newspaper article, story or recording substantiating this. I must confess that I do beleive that the name Whoopie was uttered for this first time with regards to this treat as an expression of joy because at this time(and before and after)the term and spelling of Whoopee is used universally as an outburst of joy. It makes not only plausible sense, but logical as well. Be it by the adult farmers or I prefer to think it was the children who originated the word as it relates to the pies. The parents just running with it. If this was the case, however, it had to have been made many years before the actual treat was commercially made for sale. 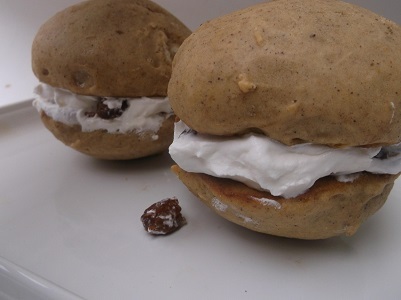 The name Whoopie Pie would have been very popular, or the bakery would not have made them for sale. 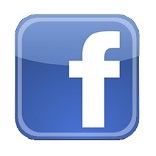 This only makes marketing and monetary sense. The word Pie. Why Pie? Well it sure wasn't because they were made in pie tins, which makes zero sense as a kitchen professional, chef and historian to boot. Thinking simply and logically, if I had leftover cake batter, the last pan I would bake little round cakes would be a pie tin. I would immediately grab a square baking sheet. If you argue, "But it had to have been a pie tin because Whoopie Pies and Gobs are round!" My answer, "If you had enough leftover cake batter from making a cake to put in a pie tin, you have enough to put in a cake pan!". And thereby you would have a cake, not a Whoopie Pie! And remember, if someone was making a cake, they would have had frosting or icing on hand as well top fill these mini discs of cooked batter. The word pie is easily explained as a direct link to our colonial past. Pies were always made with very VERY thick crusts. These thick crusts were made in order to hold the contents in without it spilling out and burning. 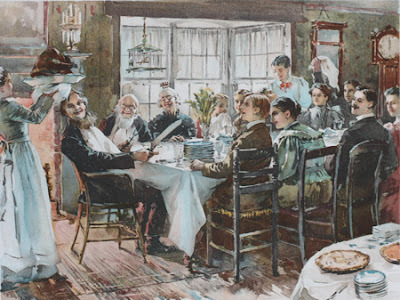 Over time, the crusts became thinner and even hand-held pies were being made in many households, both in New England and Pennsylvania. I believe that Whoopie Pies were intentionally made AND named as such because of their resemblance to pies of old. Heck, even as late as the last quarter of the 19th century, pie crusts were thick and soft. Now many will argue that the name pie was also used because most cooks used pie tins instead of cake tins. This assumption is false however. Certainly colonial era 'pans' used for making pies and cakes resembled our pie tins of today with very long handles or they resembled shallow Dutch ovens and spider pans, but that was many generations previous to the introduction of Whoopie Pies. Now the word Gob, which means(even according to a dictionary printed in 1920)a lump, small pile or mass. So a thick cake batter dropped onto a baking pan in 3 or 4 small dollops and baked would have obviously been referred to as "gobs" of batter, and certainly NOT gobs of coal! So bottom line. 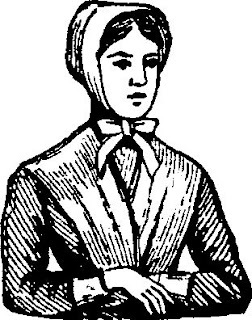 I do believe that the treat that the basic concept of our Whoopie Pie was first made by...............the Amish. Sorry Mainers. I would have loved to have given Maine credit, but logic dictates otherwise. However, that is not to say that this Amish-made Whoopie Pie, in its entirety and prepared as we know them today, was first made by the Amish. It wasn't until at least 1917 in Somerville, Massachusetts that Marshmallow Fluff was "invented". And as well all know, a Whoopie Pie is NOT a Whoopie Pie without fluff. And if anyone thinks that Pennsylvania was the first to make filling using fluff ahead of either Massachusetts or Maine, they would be mistaken. Geography in itself would dictate otherwise. The Amish may have put together the first Gobs, or Whoopie Pies, but they would have used whatever frosting they were making at the time. Because they were in the process of making a cake anyway. Boiled icing would have been used, or maybe, JUST MAYBE, some type of buttercream frosting, but certainly not filling with fluff. So I am sorry for all the confusion, but when nothing is available to bolster a claim, one needs to return to logic, common sense and the preponderance of the evidence, which is what I did. And because of this, my opinion needed to be explained as thoroughly as possible. There were few men in fact and fiction that could quite hold a stick to Maine's own Barnabus Coffin Beal. The only difference is that he was truly a living man, with the strength and only legends allude to. A fisherman, lobsterman and a man who scooped up clams and oysters in order to sell and provide for his huge family. Born in 1836, he grew to become known as Tall Barney, with the strenght of an bear with the gentleness of a cub. One exploit set his name in the annals of history when he stopped in Rockland while out fishing one day. 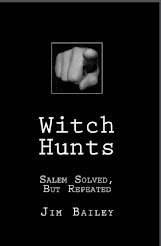 While on land, he was involved in an agument wheter any man present could lift a 1200-ound anchor laying on the dock. The men standing there tried but miserbaley failed. Someone asked Tall Barney to give it a try. Because he was never one to boast, he politely declined. Until, that is, someone bet him five dollars. It didn't take Barney long to realize that five dollars would go along way to feeding his brood back home in Jonesport, Maine. The behemoth of a man walked over, bent over and lifted this anchor clean off the dock. Turing to his bettor, he was slightly taken aback when hewasn't paid. Never being a man with anger in his body, Barney bent back over again, raised that same anchor, walked to the edge of the wharf adn dropped it right through the bottom of the boat belonging to the man who had refused to pay. His feats of strength were legendary in life, and the cause of his death. When out fishing , he would often haul his large dory up on the beach when through for the day, draggin it by the tow rope(or painter) all the way out of the water. One day in 1899, at the age of 63 years, he was dragging his boat out of the water at Pond island, Maine after a day of fishing. As he was almost clear of the water, and still a number of feet to go, he broke a blood vessel in his heart and died instantly. You can read bout him in a poem by Alice Frost Lord, entitled "The Ballad of Tall Barney", publised in 1938 in the Lewiston, Maine Journal. I have only touched upon what is written about this gently giant and I urge you to read more of him. This perfectly sweetened cake creates its own type of crust around the edges that crisp up as it cools, transforming it into a toss between a cake and a pie actually. It is recommended to slice it into segments before refrigerating, otherwise the caramelized crust will be next to impossible to cut. Classical Italian Corn Cake uses almond extract, but vanilla works equally as well if desired. Grease a 9-inch cake pan with nonstick cooking spray; set aside. Mix next 4 ingredients together until thoroughly combined; set aside. In a bowl, combine diced apple, orange juice and cinnamon; set aside. Preheat oven to 350-degrees F. In a medium-sized bowl, blend cornmeal, coconut flour, sugar and baking powder until well blended. Stir in the milk, egg, lemon juice and melted butter. It should be mixed just enough to wet all ingredients, leaving it somewhat lumpy. Fold in the raisins and transfer to prepared pan, leveling out the top. Evenly divide apple mixture, juice and all, on top of batter. Sprinkle topping mixture evenly over the apples and bake 36-38 minutes, or until the center of the cake is firm. Immediately remove from oven to cool slightly before serving hot, or cover and refrigerate to serve cold.